I'm always looking to grow and improve. I also enjoy sharing the knowledge I gain with others. I’ve talked with parents, worked with teachers, held professional developments, presented to the school board and to the city assembly. I've also done radio, podcast and TV interviews. Recently I published an article which was shared around the world. I do all this extra work to improve education for the students. I am a leader and a mentor . I share my knowledge with others. I am a member of my district’s math committee. I helped implement math intervention in my school. I’ve helped select math standards and textbooks for my district. I am on the report card committee for my school. With help and input from my colleagues I redesigned my schools report card to make it easier for parents to understand and teachers to use. In addition to my committee work and classroom teaching I serve as the technology support person for my school which means I help oversee tech needs for over 400 students and 50 staff members. I am also the gradebook and learner management systems trainer for my building. I am a certified Promethean trainer and I teach courses and in-services to help my colleges learn how to use the tool. One of my favorite things to do is mentor teachers. A paper I wrote about one of my mentorships demonstrates my leadership skill. Mentoring is a great way to show other educators how to make learning irresistible. I have presented to educators from around the state at conferences such as the Alaska Math and Science Conference. I even created a website to inspire teachers to use Minecraft. As an educator it’s my job to share the wealth, and I hope educators find success like I have. ​Before I was a teacher, I worked as the Education Specialist for the Sitka Tribe of Alaska. While at the tribe I successfully wrote a multimillion dollar education grant to improve students success. Before that I was the math tutor at the University for several years. I even taught preschool for a short while. All of these experiences have enriched my teaching. Collaborating with a community in which you grew up and have lived in for most of your life is just natural. All of this means that others rely on me to share with them the latest and greatest. It requires research and continue growth on my part but collaborating with my colleagues and the community is rewarding and enriches the learning environment. As a teacher I cannot sit back and just watch the 21st century exist around me. I have a responsibility to my students to prepare them for the world they will grow up in. In order to give my students the education they need I will need to always learn and grow. The globe is my campus I am no longer restricted to my classroom or to my town. The very fact that I am taking graduate courses with students and professors from around the state via the internet is proof that technology has transformed our ways of doing thing and opened up all kinds of possibilities. Keeping up with the latest technology feels impossible (and it probably is). There is so much out there and it is changing so fast. If you’re like me your head is probably spinning just thinking about it. So how do I continue to grow professionally and keep up to date with my 21st century skills? One of the best ways for me to stay current is through continued education. Graduate classes from the university have launched me into a whole new era of education and teaching. I’ve learned about online tools such as those found at Desmos.com and GapMinder.org . 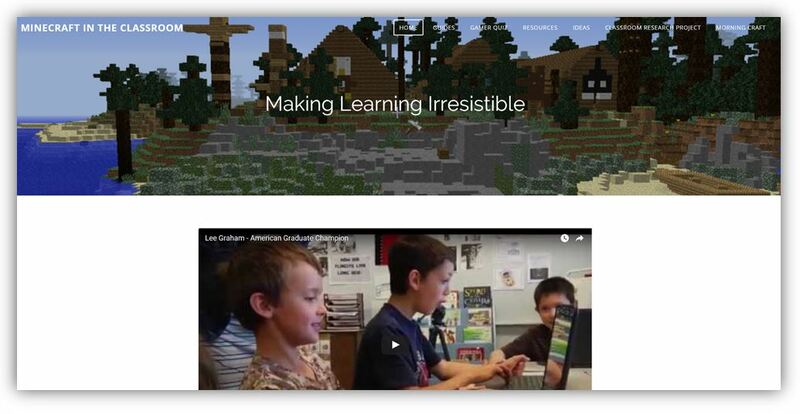 I’ve learned how to transform my teaching with Minecraft, and Makerspaces. My classes have been very challenging; they’ve stretched me and introduced me to things I didn’t know existed. Another way I stay committed to professional growth is through networking and online communities. 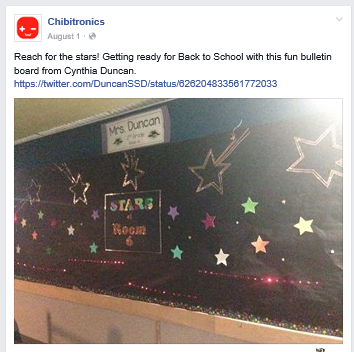 I belong to online groups like Makerspaces.com that help me stay current and help me find resources. My Twitter feed also helps me keep up with 21st century skills, education research and best practices. I follow some of the brightest educators in the world. Their Tweets inspire me and provide me with tips and tools I use on a daily basis. I also follow online publications such as Edutopia, Mindshift, EdSurge, and Free Technology. Teaching in the 21 century is different from the way my teachers taught me in school. In this day of rapid change learning how to improve my teaching and grow professionally is a continual process. As a teacher, I am proud that I have proven that I am committed to improving and learning. This is a paper I wrote about a mentorship project. This project demonstrates my ability to collaborate with others. Website I created to help teachers use MinecraftEdu in the classroom. This website demonstrates my desire to help others. 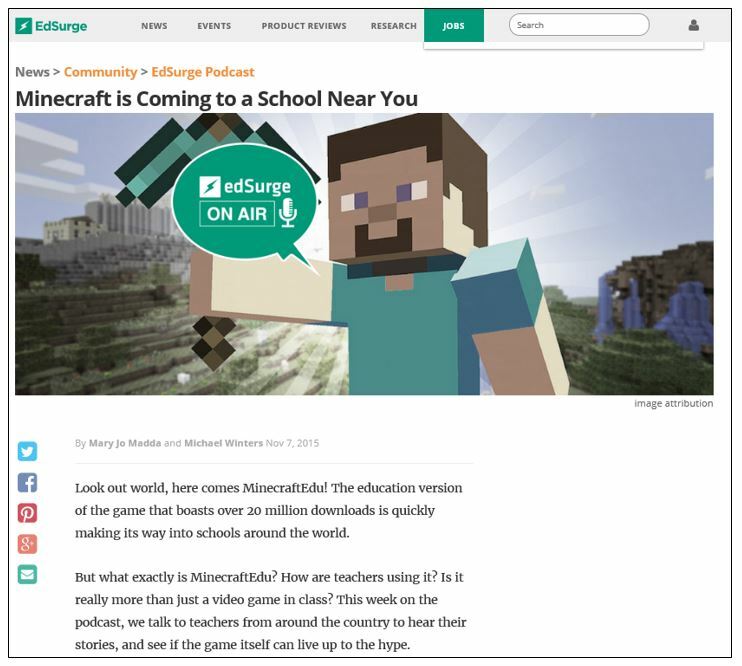 November 2015 EdSurge Podcast. This is an example of how I desire to help and collaborate with others.